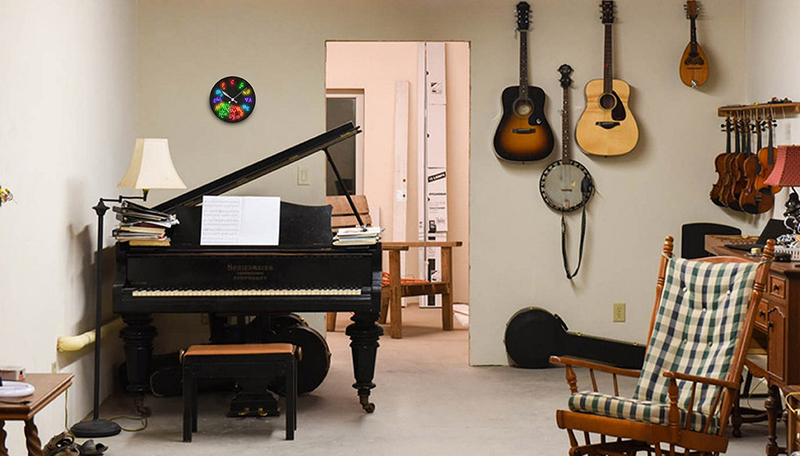 These designed products by S. Frank Stringham will bring joy into, and throughout, your life...whether they are the acrylic art works, the clocks, or other music products!! 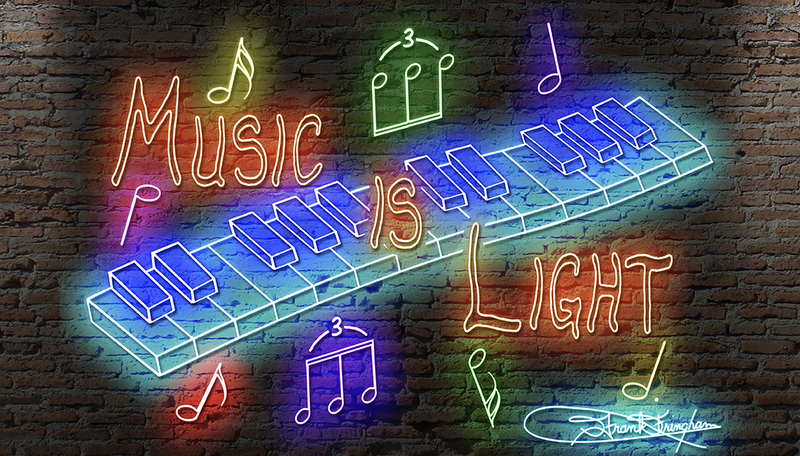 This colorful neon piano keyboard up against a brick wall backdrop will capture the eyes and the delight of all those who see it, whether they are musicians or not. Signed in "neon" by the artist, S. Frank Stringham. This 36" X 24" Acrylic Art piece will bring your wall the colorful and musical decor that it deserves. 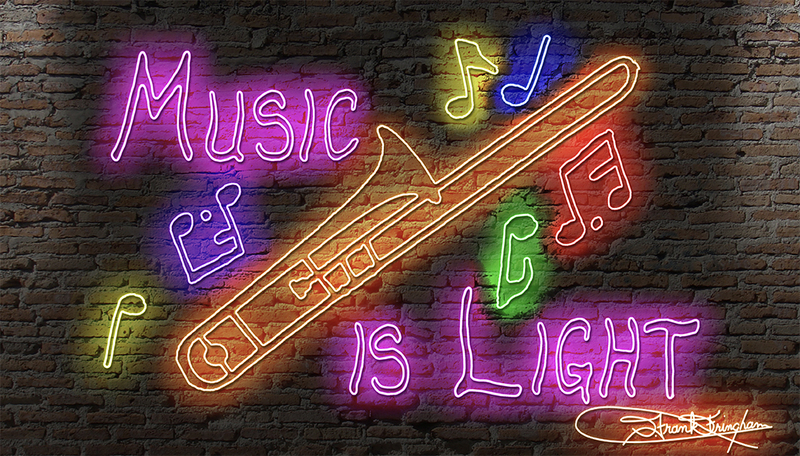 This colorful neon trombone up against a brick wall backdrop will capture the eyes and the delight of all those who see it, whether they are musicians or not. 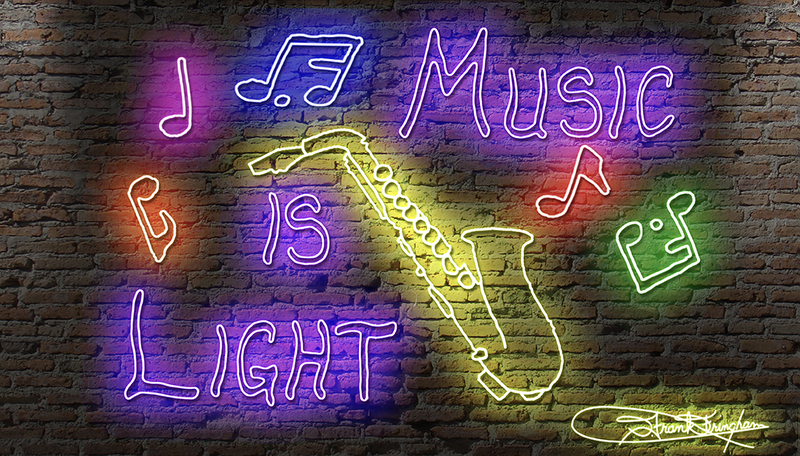 This colorful neon saxophone up against a brick wall backdrop will capture the eyes and the delight of all those who see it, whether they are musicians or not. 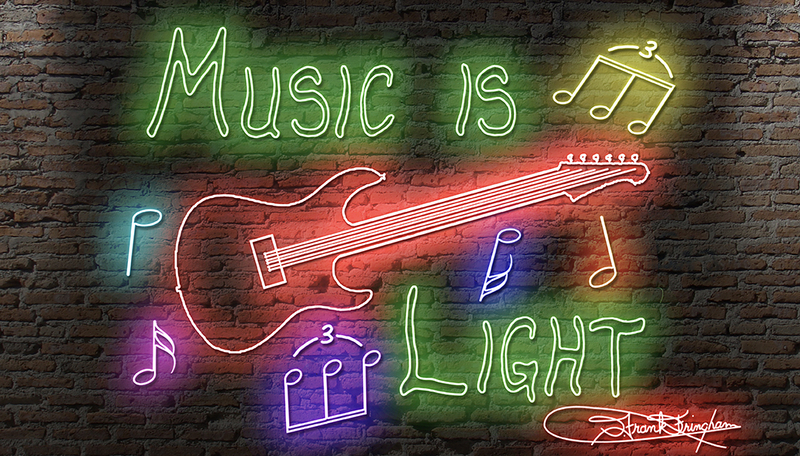 This colorful neon electric guitar up against a brick wall backdrop will capture the eyes and the delight of all those who see it, whether they are musicians or not. 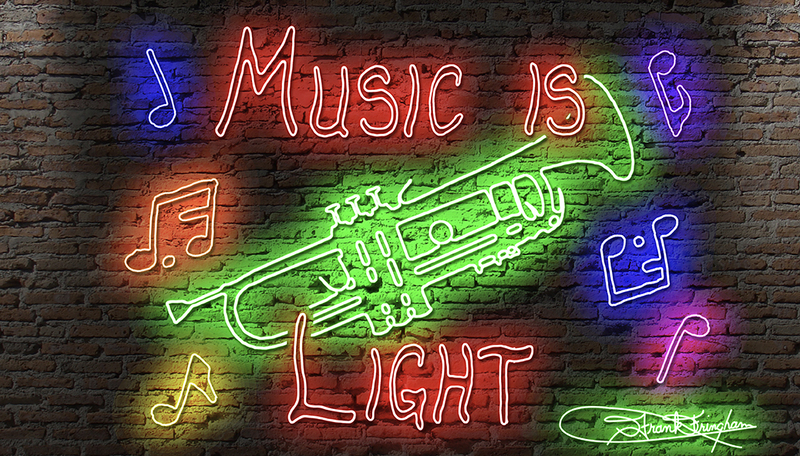 This colorful neon trumpet up against a brick wall backdrop will capture the eyes and the delight of all those who see it, whether they are musicians or not. 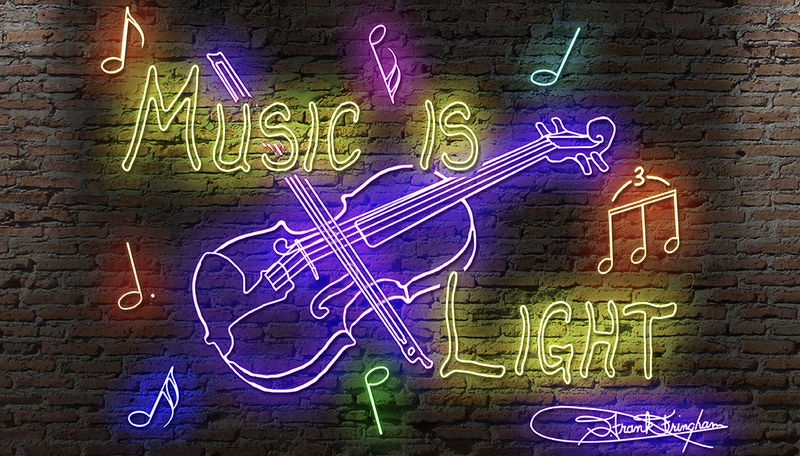 This colorful neon violin up against a brick wall backdrop will capture the eyes and the delight of all those who see it, whether they are musicians or not. More instruments to follow. Requests for a certain instrument will be expedited!! 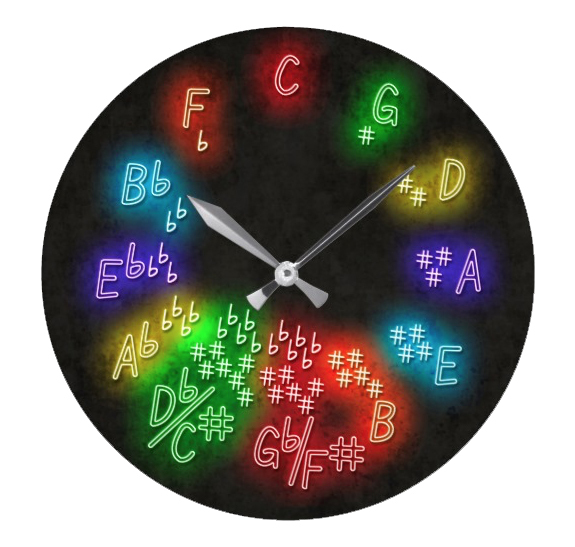 This colorful neon Circle of Fifths clock will capture the eyes and the delight of all those who see it, whether they are musicians or not. This 10.75" Acrylic Art clock will bring your wall the colorful and musical decor that it deserves. 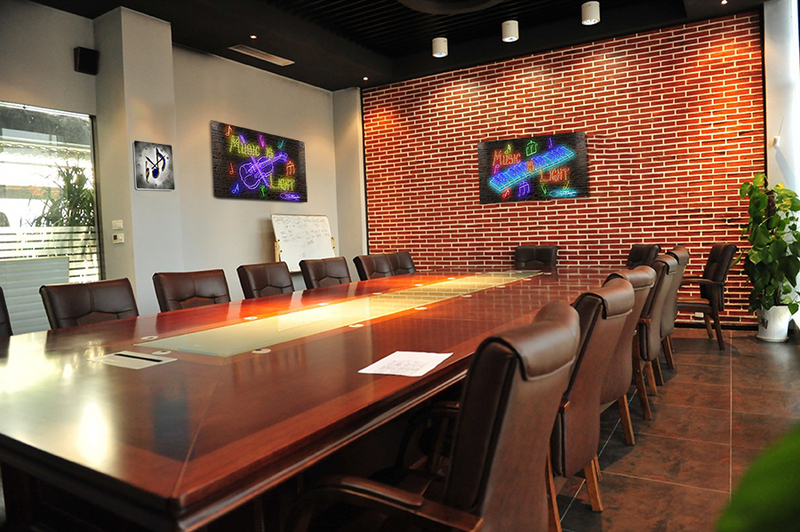 This wall clock is vibrantly printed with AcryliPrint®HD process to ensure the highest quality display of the content. Order this clock for your walls or give it to friends and family as a gift for a timeless treasure.